Polyphony Digital has been known to push the boundaries of technical limitation when it comes to their acclaimed racing game series, Gran Turismo. The franchise has delivered superb visual quality across each of the PlayStation consoles, with the most recent entry in the series Gran Turismo Sport being the most polished and perfected Gran Turismo title yet in terms of visual quality and performance. GT Sport runs in 4K on the PlayStation 4 Pro console using a checkerboarded 1800p image. It might not be native 4K resolution, but it’s certainly a visual showpiece when displayed on a 4K TV – especially when combined with HDR lighting. Polyphony has undoubtedly one of the finest implementations of High Dynamic Range technology in the business and it shines when paired with the 4K output on the PS4 Pro version of the game. However, Polyphony Digital didn’t just build Gran Turismo Sport with the PlayStation 4 line-up of consoles in-mind. It also ensured that its tracks, car models and lighting effects remained future-proof on both newer hardware and upcoming display technology. Gran Turismo series creator and producer Kazunori Yamauchi revealed last year that the cars featured in GT Sport were built with future PlayStation consoles in-mind, with it taking the team approximately six months to create a single car model. Now GTPlanet has revealed that Gran Turismo Sport was recently showcased at a Japanese consumer electronics show in Tokyo dubbed ‘InterBEE 2018.’ Sony was there to showcase its high-end Crystal LED displays, with a massive 440-inch screen displaying Gran Turismo Sport in native 8K resolution at a blistering 120fps. Obviously, GT Sport currently maxes out at 1800p and 60fps on the PS4 Pro hardware, but this could be a subtle hint for the future of the series – or just Sony taking advantage of Polyphony’s high-quality assets from Gran Turismo Sport to show off its latest display technology to consumers and press. GT Sport running in 8K at 120fps (via GTPlanet forum user 'queleuleu'). 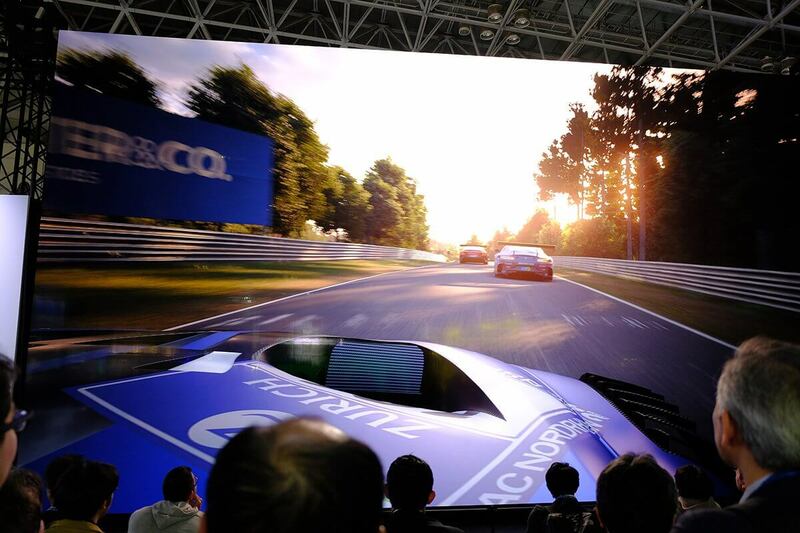 Whilst the footage shown at this event offers a glimpse of how Gran Turismo could potentially look in the future, Sony has yet to specify whether it was captured from a high-end PC or future PlayStation hardware. There’s no doubt that PlayStation 5 is in the pipeline and likely targeting a 2020 release timeframe. Considering the company has pulled out of next year’s E3 expo in Los Angeles, it only further adds to the speculation that Sony’s next console is closer than we all initially thought. 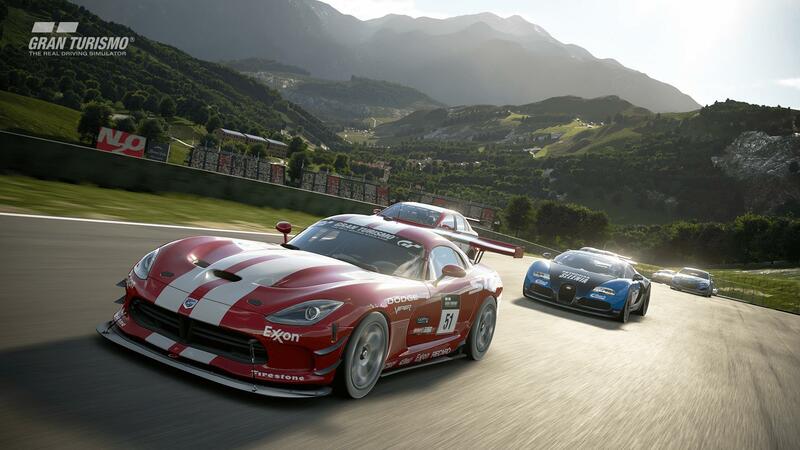 Whilst it’s highly unlikely that the console space will be ready for 8K gaming anytime soon – we’ve only just truly begun the 4K era after all, this pre-rendered footage from Gran Turismo Sport in 8K at 120fps does show that the future of racing games will be incredible, and it’s one that Polyphony Digital is already heading towards with its high-quality car and track assets for GT Sport. Not to mention its impressive HDR-focused lighting model. 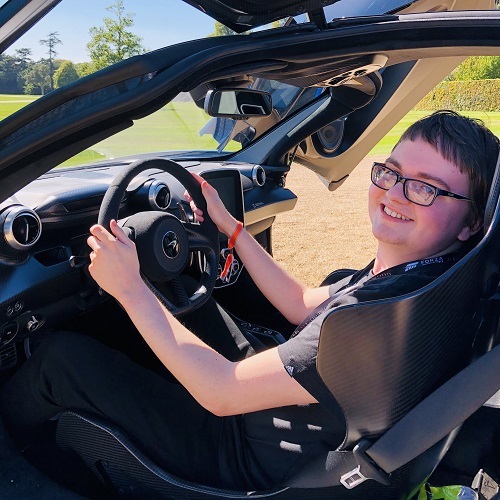 Whenever the PlayStation 5 does surface however, one thing is for certain – and it’s that Polyphony will be there in full-force to take advantage of the new console hardware to deliver its most visually-pleasing and technically advanced Gran Turismo game to-date.